Oh my, the list is so long. As a child I love books, and I still love books. 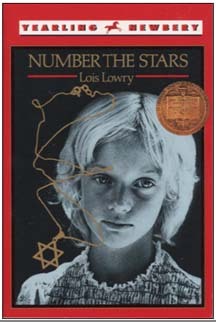 I guess my favorite would be one we read in class called Number The Stars. I've always loved this story, and would especially vote for it to be read whenever my teacher would ask us what book we would like to read. I guess it's because my father was born in Germany that I like the history about Germany, and loved to learn more about it.